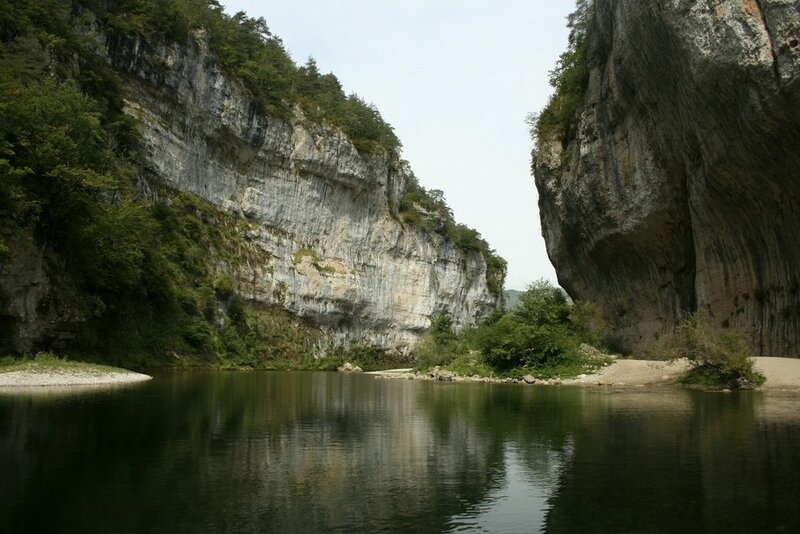 Classified since 2010 World Heritage of the UNESCO, the Gorges du Tarn derive their fame from the strange spectacle of nature that they offer. From arid Causses to deep valleys, you are everywhere surrounded by grandiose. In the heart of the Regional Park of the Grands Causses, our country extends from the singular Causse Méjean to the North to the famous Larzac to the South, passing through the Sauveterre and the Causse Noir, huge expanses of wilderness. Our valleys carved by the Tarn and its tributaries, the Jonte and the Dourbie rivers, meander along these rivers in the middle of spectacular Gorges. It is in this terroir that we welcome you in the Aveyron and the Lozère counties, for a stay out of time and space, where you can make beautiful walks on foot, horseback or bicycle, guided perhaps by a few vultures, which have been reintroduced in the 1980s, and which will accompany your with their majestic flight. You can also practise many sports of whitewater and wilderness canoeing, climbing, via Ferrata, paragliding, or simply swim or fish in our transparent rivers.